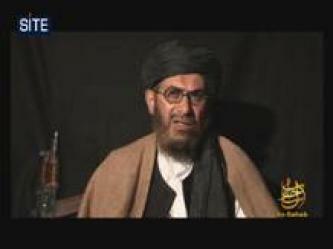 The second part of the as-Sahab video, “Winds of Paradise 3,” continues the biography of Abu Laith al-Libi from the beginning of the US-led war on Afghanistan until his death in January 2008. Abu Laith al-Libi, a slain al-Qaeda commander, is the subject of the third entry in the as-Sahab video series, “Winds of Paradise.” Abu Laith, an al-Qaeda leader and official in the Libyan Islamic Fighting Group (LIFG), was killed in Pakistan in January 2008. Al-Qaeda ideologue Attiya Allah dehumanizes Americans and justifies reprisals against the United States due to criminal actions in Afghanistan and Waziristan in a 6-page document issued on jihadist forums on January 17, 2009. Jihadists on the Ansar al-Mujahideen network within past weeks have posted questions to top al-Qaeda ideologue Attiya Allah, responding to the open interview proposed by as-Sahab and al-Fajr Media Center. The twelfth issue of “Vanguards of Kharasan,” a period electronic magazine concerning jihad and mujahideen in Afghanistan, was issued by al-Fajr Media Center on jihadist forums on October 3, 2008. Al-Qaeda’s video commemorating the seventh anniversary of the 9/11 attacks was issued by its media arm, as-Sahab, on jihadist forums on September 19, 2008. Attiya Allah, an al-Qaeda ideologue, authored a book criticizing Hezbollah and Shi’ites, which was issued on jihadist forums on August 5, 2008 by as-Sahab, the multimedia arm of al-Qaeda. Drawing from a reading of messages from Al-Qaeda ideologue, Lewis Attiya Allah, and a “reliable source”, a member of the password-protected Al-Qaeda-affiliated forum, Al-Ekhlaas, posted a message today, Wednesday, January 30, 2008, claiming a strike from Al-Qaeda in America will soon happen. Al-Qaeda ideologue Attiya Allah, responding to those who question the “jihad of deterrence”, rather than the question itself, delivered a 43-page answer which was recently distributed to jihadist forums by the Global Islamic Media Front. The Global Islamic Media Front distributed an article by Attiya Allah to jihadist forums yesterday, Monday, August 27, 2007, in which the al-Qaeda ideologue sympathizes with the Muslims and Mujahideen in Nahr al-Bared, and chastises those who do not offer support to Fatah al-Islam. Al-Qaeda ideologue and prominent member of the jihadist Internet community, Lewis Attiya Allah, recently wrote an article where he is ebullient with joy in the Islamic State of Iraq threatening to declare war on Iraq. Al-Fajr Information Center distributed to jihadist forums following the release of kidnapped BBC reporter, Alan Johnston, a message of greetings from al-Qaeda ideologue Attiya Allah addressed to Johnston’s captors, the Army of Islam [Jeish al-Islam]. Arguing that mainstream news media is in the “hands of the Zionists and Western intelligence” and serve to obfuscate fact and legitimize regimes in Muslim lands, a group calling itself the “Al-Yaqeen Media Center” announces its establishment as a carrier of truth for the Muslim Ummah without a “Western touch or imperialist agenda”. Al-Qaeda ideologue Lewis Attiya Allah authored a hastily written statement today, Thursday, April 5, 2007, published to jihadist forums such as the password-protected al-Qaeda-affiliated al-Hesbah Network, regarding the Islamic Army in Iraq’s response to a speech by the Emir of the Believers in the Islamic State of Iraq, Abu Omar al-Baghdadi, and their accusations of wrongdoing by al-Qaeda in Iraq, a component group of the State. Within an exclusive community of representatives from the global jihadi arena, such as al-Fajr Information Center, as-Sahab, al-Qaeda, insurgency groups in Iraq, and Salafist scholars, on one of the forums operating in secret from Internet jihadists, a private message, intercepted by the SITE Institute, was recently sent by Attiya Allah to another member regarding the posting of a statement from Waziristan. A member of the password-protected al-Qaeda-affiliated al-Hesbah forum recently posted an article attributed to al-Qaeda ideologue Lewis Attiya Allah, stating that his words are akin to detonating a bomb in the face of the Saudi “King-doom’s” scholars. Al-Fajr Information Centerdistributed a message from al-Qaeda ideologue Attiya Allah on Tuesday, March 13, 2007, in which he defends Dr. Ayman al-Zawahiri from the furor which erupted following accusations of Hamas abandoning Islamic principles. Al-Qaeda ideologue Lewis Attiya Allah authored a message distributed to jihadist forums, such as the password-protected al-Qaeda-affiliated al-Ekhlaas Network, today, Wednesday, March 28, 2007, commenting on the nineteenth Arab League summit in Riyadh, Saudi Arabia. Al-Qaeda ideologue Lewis Attiya Allah authored a message address to jihadist forums members which was published yesterday, Monday, February 26, 2007, to jihadist forums including the password-protected al-Qaeda affiliated Ekhlaas network. 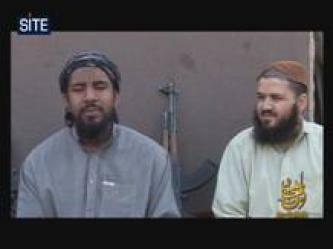 A statement titled, “The Condemnation by the Lacking Ones is a Testimony to the Good Heroes”, written by al-Qaeda ideologue Attiya Allah and recently distributed to jihadist forums, finds in the negative words against the Mujahideen in Iraq, particularly the Islamic State of Iraq, signs of victory and reasons to champion the jihad.